Order your custom designed shirts through Footy Trip’s preferred apparel supplier – TWP! 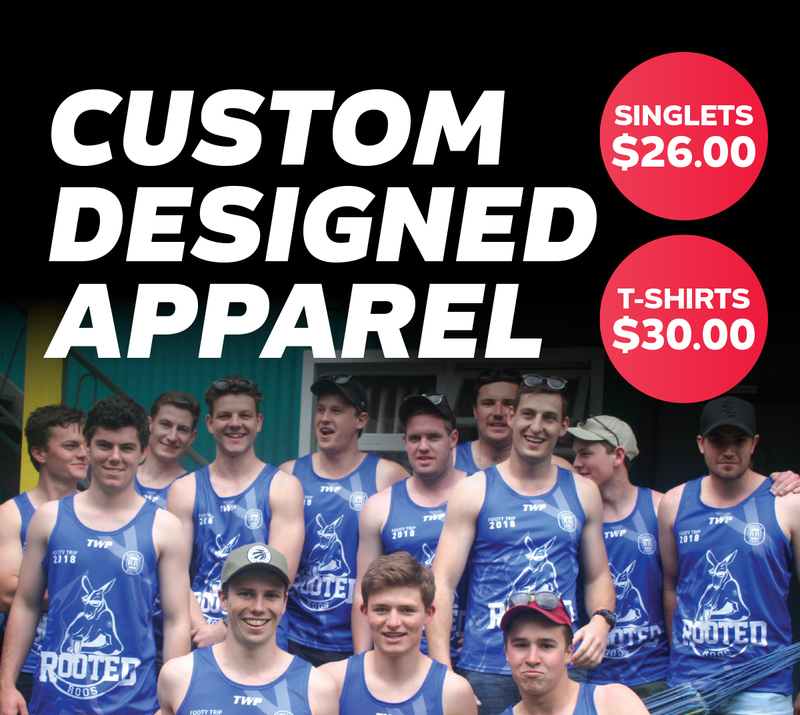 Available in singlets or polos, personalised shirts are the perfect addition to your team’s Footy Trip! Pick your colours, add your team logo and even make up your own design!